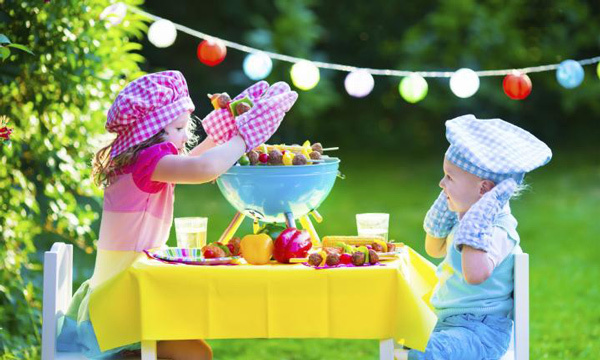 Commonplace though it may seem, organizing a birthday party for your child is a task which is easier said than done. All the preparation notwithstanding, there is a very real danger of such an event becoming monotonous with the same crowd of children, repeat of decorations and identical party games being held year after year. So how about breathing some fresh life into the event through proper and timely planning? All you need to do is to use your creativity and start well in advance for everything to fall into place at the right time. Start preparing a couple of days before the event – Organizing a birthday party calls for making all kinds of arrangements ranging from food and games to music, seating, decorations and clicking pictures. Rather than leave all of this till the last day and increase the chances of things going wrong, you might as well commence preparations a couple of days prior to the event. Ensuring that your camera is in working condition, placing orders for takeaways and decorations and finalizing the placement of seats and the music system are some of the chores that can be attended to a few days in advance. Choosing a theme – Selection of theme should be based on several factors like the age group of children that are likely to attend, gender and the latest trends marking the particular generation. For example, a Barbie theme would be more suitable for a girl’s birthday party while boys would relate more easily to Superman, Batman or any other super-hero. Likewise, Dora can serve as a perfect theme for kindergarten kids whereas older kids would enjoy something more grown-up like Hannah Montana. Inject the fun element – Irrespective of the age of the child or the theme, an element that should define every birthday party is that of fun. And being a parent, the onus is on you to ensure that children have lots of fun during the party whether it is through bouncing on trampolines, scaling the bouncy houses or any other activity. Fun can also be introduced by organizing for an artistic activity like drawing tattoos, finger painting, painting pots or sculpting clay. Such activities would not just keep the children busy but also provide them with an opportunity to create something on their own, an achievement that they can be proud of for years to come. Food is something that most parents do not give thought to with the result that the fare serve during the birthday party is same as all the other parties. So why not change things a bit and customize the food so that it complements the theme in terms of colors and shapes? Last but not the least, spend the hour before the birthday party going through the checklist to ensure that every aspect has been accounted for and that nothing has been left out. Then watch your child’s face light up with joy as the guests walk in and complement him/her on the most enjoyable birthday celebration ever.